Children's Foot Care FAQs | Podiatry Associates, P.C. Is it okay for my child to wear used shoes? In general, it’s not a good idea for you to pass used shoes to another child. Footwear molds to the foot of the child wearing it based on the shape and unique pressures of his or her lower limbs. The sole wears down in specific places for those reasons, too. 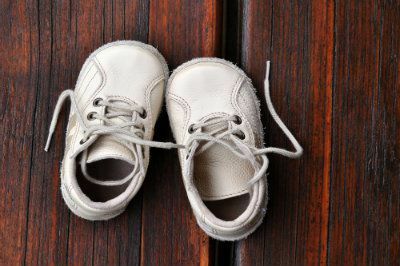 Since one child has a different foot shape and gait pattern from another, walking in someone else’s hand-me-down shoes could be uncomfortable and have a negative effect on his or her lower limbs. For young children using daily footwear that will be worn a lot, or sport shoes that will take a lot of abuse, new shoes really are the best. That way you can be sure the footwear is fitted to meet your son or daughter’s unique needs without wear and tear that could harm him or her. If you’re at all concerned about your child’s footwear or your son or daughter’s walking ability, talk with Podiatry Associates, P.C. in Parker, Castle Pines, and Cherry Creek, CO near Denver, CO. We’ll help you make sure your child grows with healthy, pain-free lower limbs. Call (303) 805-5156 or use our website to make an appointment. Can physical therapy correct children’s foot problems? Physical therapy is an extremely helpful treatment modality that can be used for many different problems at all different ages. Many of the most common foot problems growing up can be treated conservatively. Like adults, children can suffer from overuse and other injuries. Physical therapy is designed to stretch out tightness, improve foot function and range of motion, and strengthen limbs overall. This can definitely benefit children who are suffering from foot problems. First you must have your son or daughter’s lower limbs evaluated to be sure that physical therapy is really what he or she needs. In some cases, your child might need other treatments first. Our team at Podiatry Associates, P.C. will perform a variety of tests to identify the cause of the problem and determine what care methods will be most helpful. If physical therapy is what your child needs, we’ll help him or her learn how to perform the exercises correctly. 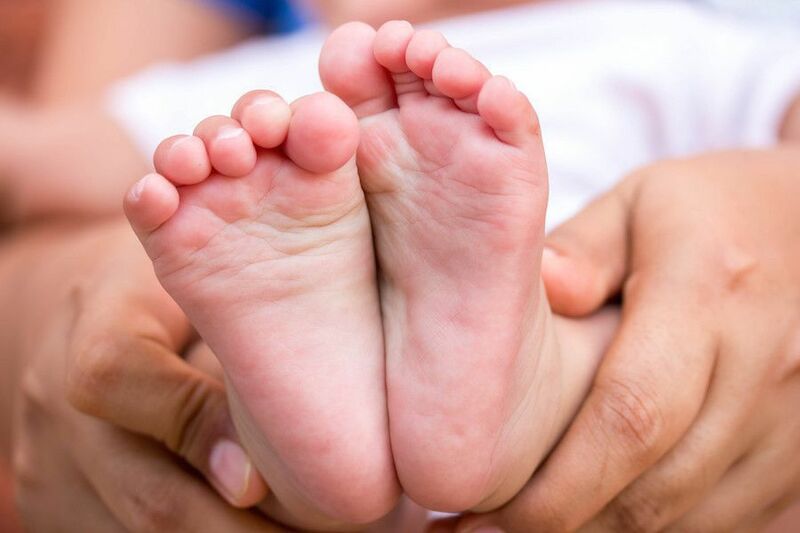 Use our website or call (303) 805-5156 to make an appointment at one of our offices in Castle Pines, Cherry Creek, Denver, or Parker, CO.
What foot problems are present at birth? There are many different congenital foot problems (conditions that are present at birth). A few of these are obvious right away, including one of the most common congenital disorders – clubfoot. A clubbed foot is abnormally twisted down and inward, deforming the lower limb. Metatarsus adductus, which is a source of intoeing, is also obvious at birth. Other conditions don’t present problems until later as the feet change and grow, even though the issue itself has been there the whole time. This is particularly common with tarsal coalition and accessory navicular. Tarsal coalition is an issue with excess bone or cartilage bridging and fusing two separate tarsals in the foot. This creates a rigid flatfoot, though symptoms don’t usually appear until adolescence. Accessory navicular is a problem with an extra bone on the inside of the arch. If this doesn’t fuse with the rest of the navicular bone in the arch, it can be prone to irritation and pain. The good news is that most congenital problems can be treated conservatively. Our team at Podiatry Associates, P.C. in Castle Pine, Cherry Creek, and Parker, CO, can help you. Just use our online form to make an appointment, or call (303) 805-5156. The health of your children’s feet matters. 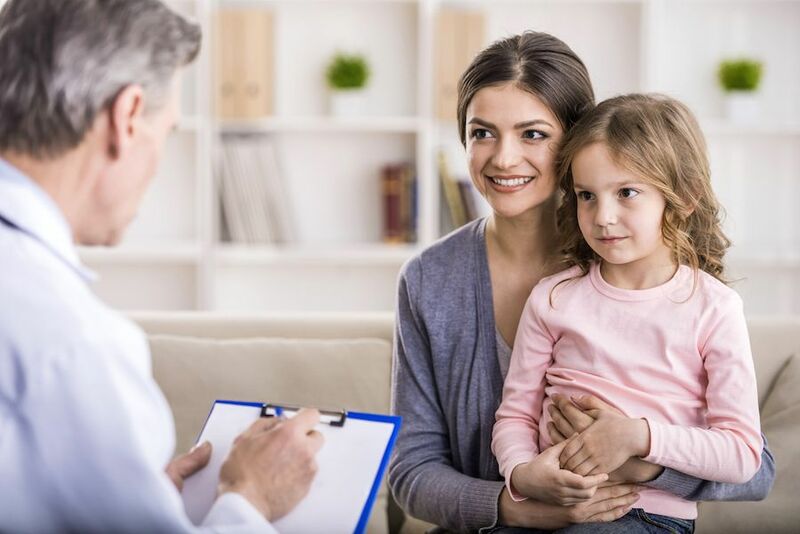 After all, you take your child to normal check-ups for regular health and other specialists when something goes wrong. Your child’s feet really aren’t that different. A pediatric podiatrist is there to help your son or daughter maintain healthy lower limbs that will carry him or her through life. Many life-long foot and ankle issues that plague people have roots in childhood—or are even present at birth. 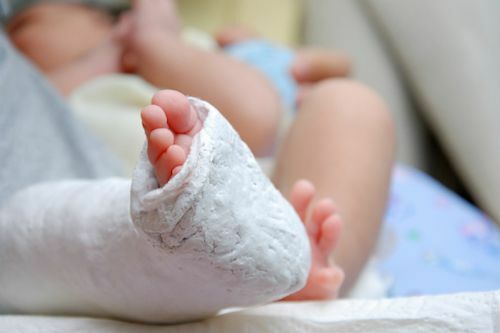 For birth deformities or other congenital issues, prompt treatment of your baby’s feet can correct, or at the very least minimize, the problems for later in your child’s life. Because children’s lower limbs are still growing, there’s incredible potential to help feet stay healthy and strong and avoid issues in the future. A podiatrist can also help with injuries. Your child doesn’t want to live with foot injuries any more than you do, which is why treatment is necessary. Some painful problems only appear in children, too, like Sever’s disease. 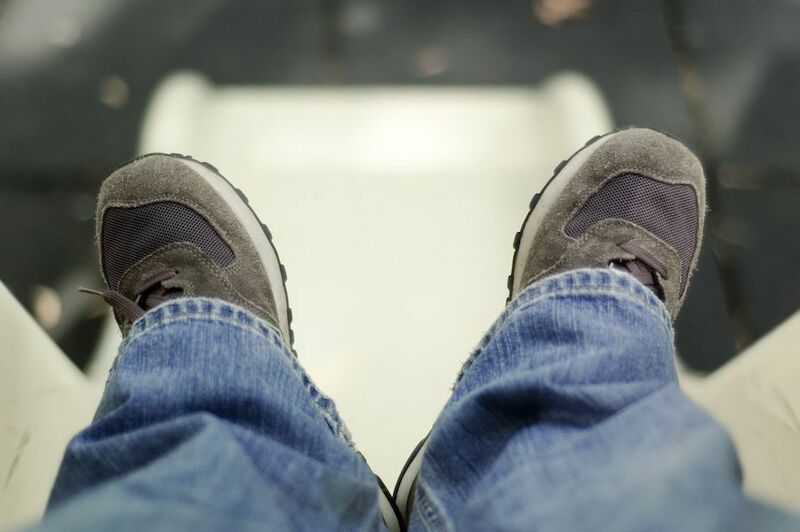 All in all, having your child see a podiatrist is just a matter of health. Our team at Podiatry Associates, P.C. is happy to help your whole family at any age. 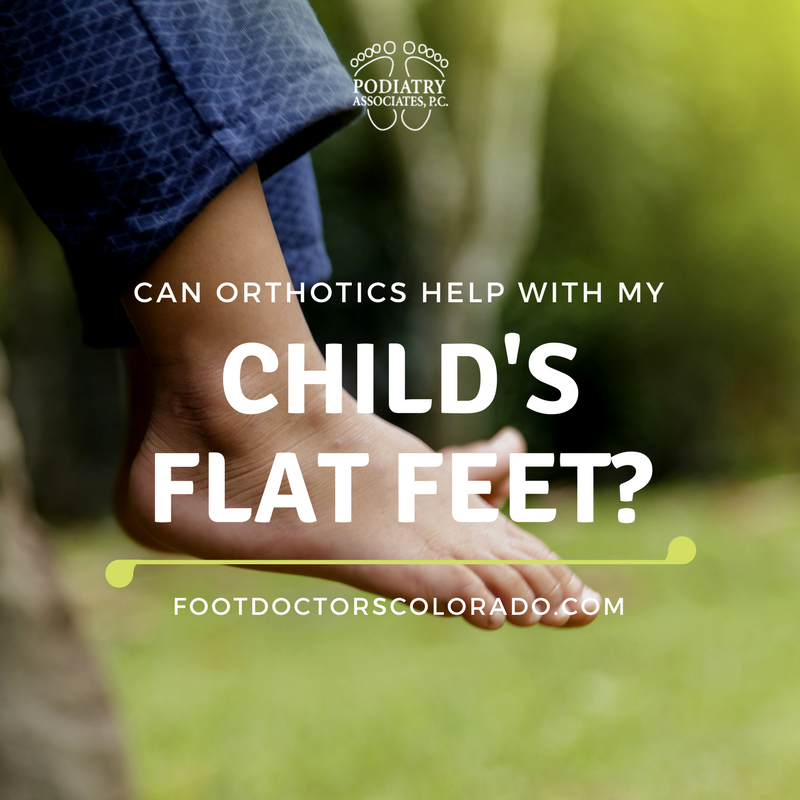 Just call (303) 805-5156 to make the appointment in Denver, CO.
Why do my child’s flat feet hurt? Many types of children’s flat feet don’t cause painful problems. When the low arches are the result of a condition like tarsal coalition, however, it can be quite uncomfortable for your child. Tarsal coalition is a bone abnormality in the middle or back of the foot. Extra bone, cartilage, or other fibrous tissue grows between two of the tarsal bones, connecting them. 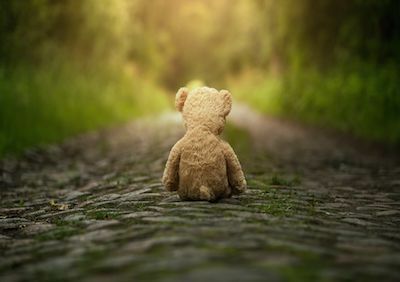 While your child is young and growing, this connection is usually relatively flexible and painless. As your son or daughter gets older, the bones harden more and the feet mature. This extra tissue hardens as well, making the arch rigid. A rigid arch isn’t able to accommodate changes in the ground or absorb shock efficiently. This can put a lot of stress on the feet and cause pain when your child stands, walks, or is otherwise active. This isn’t something that improves with time, so if it causes your child pain, it needs to be addressed. Let our team at Podiatry Associates, P.C. in Castle Pines, Cherry Creek in Denver, and Parker, CO help your son or daughter walk without discomfort. Call (303) 805-5156 to make an appointment with us, or find out more through our website.